Sylveon in game: 648 Who? Important notice! 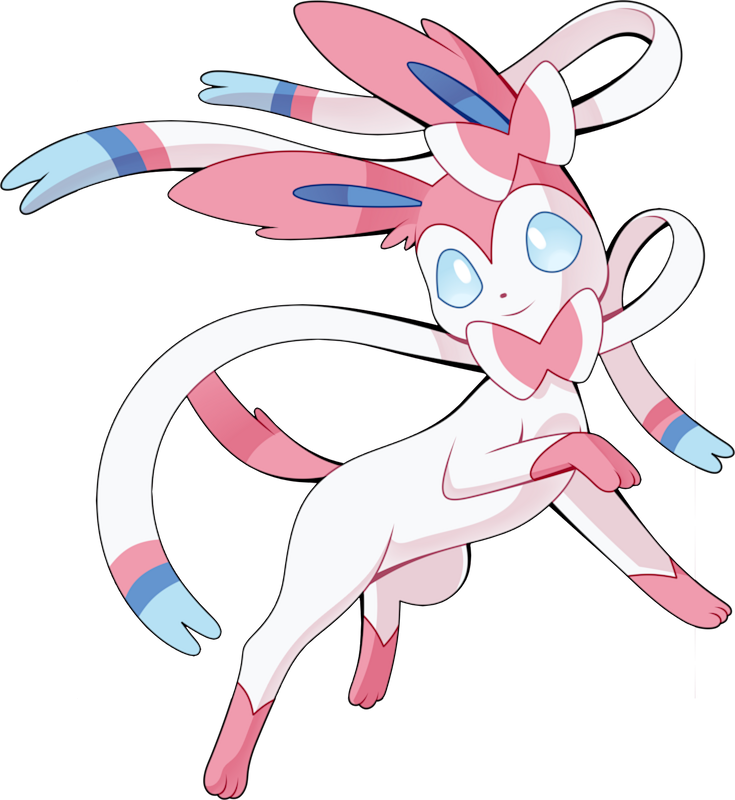 Pokemon Sylveon is a fictional character of humans. 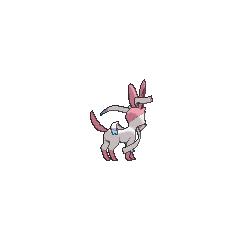 Sylveon (Japanese: ????? Nymphia) is a Fairy-type Pokémon introduced in Generation VI. It evolves from Eevee when leveled up knowing a Fairy-type move and having at least two Affection hearts in Pokémon-Amie or Pokémon Refresh. It is one of Eevee's final forms, the others being Vaporeon, Jolteon, Flareon, Espeon, Umbreon, Leafeon, and Glaceon. Serena's Eevee evolved into Sylveon in Party Dancecapades! during a Tag Battle alongside Ash's Pikachu against Miette's Slurpuff and James's Inkay. Sylveon made its debut appearance in the Pikachu short Eevee & Friends. Sylveon made its anime debut in Kindergarten Chaos! under the ownership of Penelope. A Sylveon appeared in A Fashionable Battle! and Fairy-Type Trickery!, under the ownership of Valerie. A Performer's Sylveon appeared in A Showcase Debut! participating in the Coumarine Showcase Rookie Class. 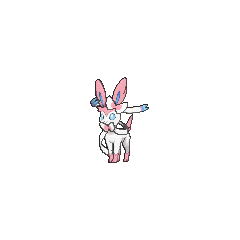 A Sylveon appeared in a fantasy in Tag Team Battle Inspiration! where Serena imagined what her Eevee could evolve into. 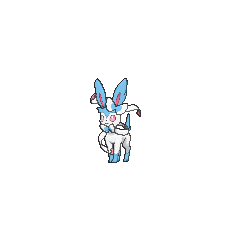 An image of a Sylveon appeared in A Performance Pop Quiz!. 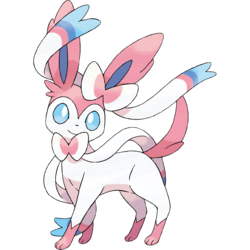 Like the other Eeveelutions, Sylveon displays several characteristics of various mammalian creatures. Eon is a suffix all Eevee evolutions share and was Eevee's English prototype name. Japanese ????? Nymphia From nymph. Cantonese Chinese ???? Sinjíyibui Literally "Fairy Eevee". Ends with -?? like every Eeveelution in Cantonese. Mandarin Chinese ???? / ???? Xianzijinglíng Means "Fairy spirit". Ends with -?? / -?? like every Eeveelution in Mandarin.